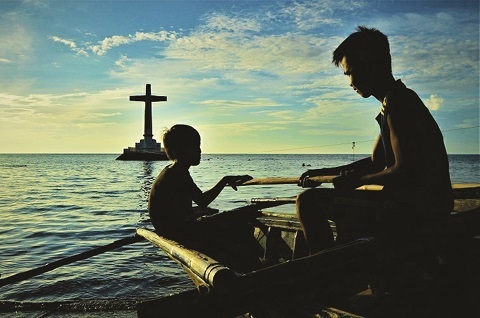 MORE than half a million people are expected to visit the various pilgrimage sites in northern Mindanao, especially in Misamis Oriental, during the Holy Week, a tourism official said. The Divine Mercy Shrine in Barangay Ulaliman, El Salvador City, Misamis Oriental, is projected to have the most number of visitors, said provincial tourism officer Jeffrey Saclot. Last year, more than 200,000 Roman Cathilic devotees visited the shrine’s 50-foot statue of Jesus Christ, the most prominent structure at the Divine Mercy Hills, and the figure is seen to increase this year, Saclot said. The statue is considered as one of the largest and tallest religious structures in the region. Aside from the Divine Mercy site, many devotees are also expected to visit the Our Lady of Lourdes church, known for its “healing pool,” in Binuangan town; the Sipaka Heights in Talisayan town; and soon-to-be finished Christ the King shrine in Gingoog City; and Medina town where “Hinuklog” (reflection), a street play depicting the passion of Jesus Christ, will be held on Maundy Thursday and Good Friday.